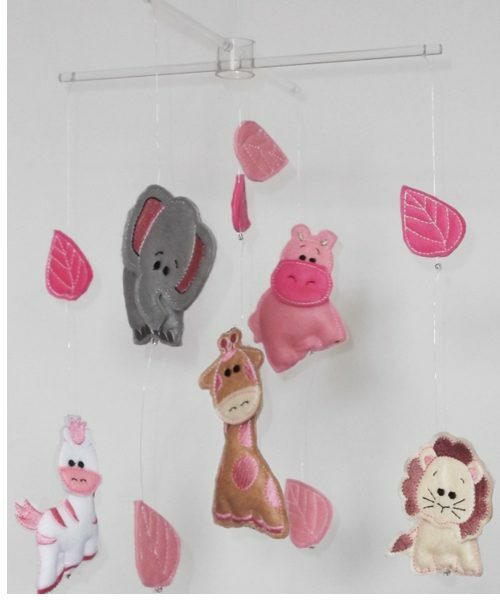 The support bars used for our animal baby mobiles are unique, made in clear Perspex, creating the impression that the felt animals are invisibly suspended. 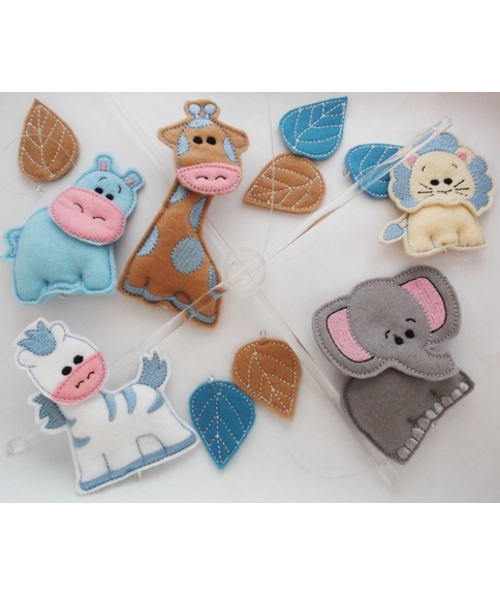 The mobiles are approximately 30 cm long, each animal is 8 -10cm long, the mobiles consist of 5 animals and coordinating leaves. 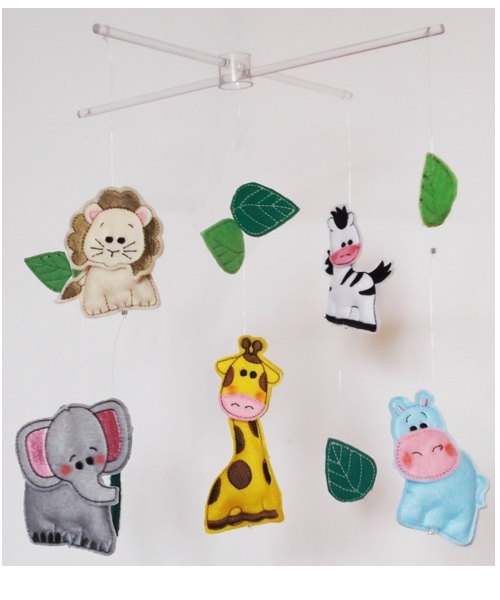 Our African Safari baby mobiles are beautifully hand crafted. 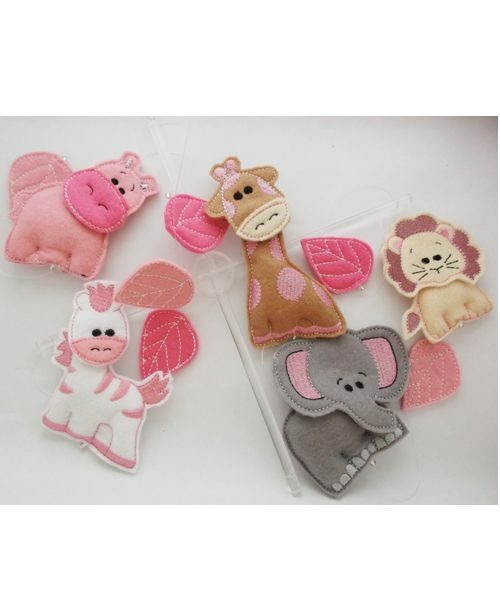 These delightful baby mobiles are sure to entrance and delight your baby with the colourful shapes. 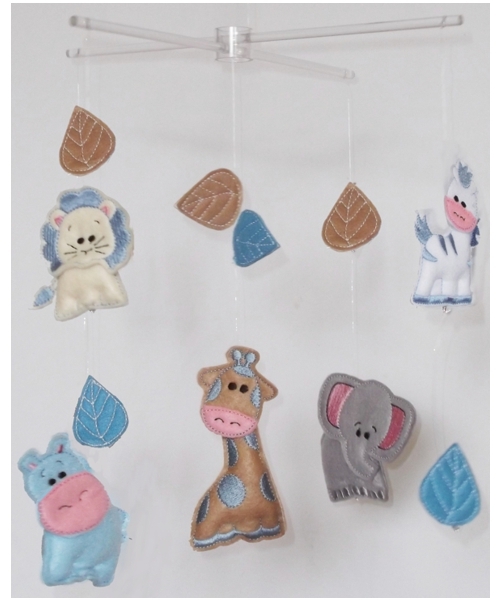 Mobiles are the perfect decoration for your nursery, they both calm and entrance your little one. 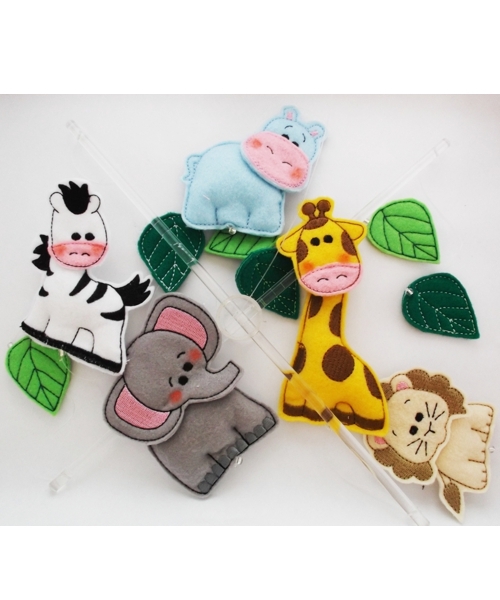 The different colour options are great for coordinating with the colour scheme of your nursery. 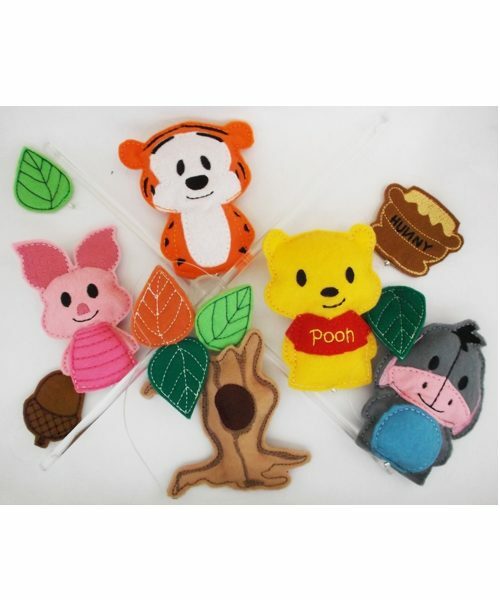 Our mobiles are entirely handmade and hand cut, hours of love and care have gone into creating them. 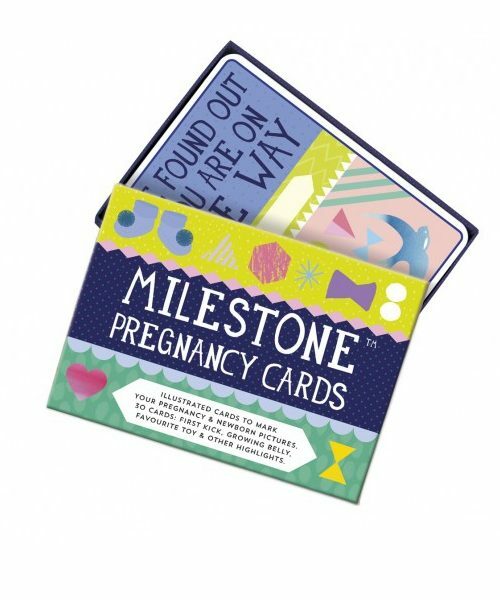 They make a perfect baby shower gift.